You’ve probably heard of or at least seen pictures of “The Bean”, one of the famous landmarks of Chicago. The Bean, a popular attraction officially known as Cloud Gate, lies in Millennium Park, which is one of the most famous parks in Illinois. It is a 110-ton stainless steel structure that looks like a bean. 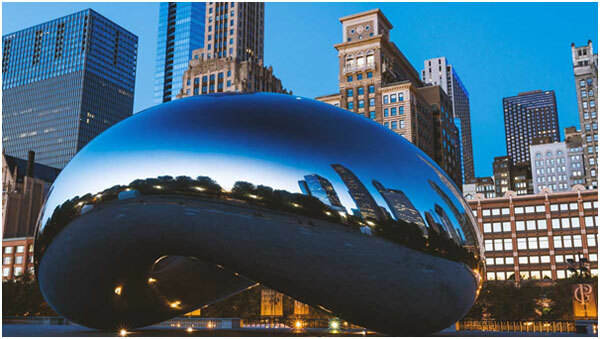 Millennium Park is famous for containing many art and architectural achievements, including the Bean. Many concerts and festivals are also held at Millennium Park. Aside from the Bean, visitors come to see the Crown Fountain, towers that face each other on either end of reflecting pool. The screens on the towers portray faces of over 1,000 Chi-town residents, which with the water spouts looks like they are spitting on passing visitors. Other reasons visitors flock to the park is for the concerts, picnic spots, and more. The park and most amenities within are free, but food vendors within charge. Millennium Park is open every day from 6 am to 11 pm. Another very popular park is Grant Park, a 319-acre greenspace which stretches “in front” of Chicago. In the middle of the park, you’ll find one of the largest fountains in the world, the Buckingham Fountain. The fountain features 133 jets which shoot water up to 150 feet into the air during planned displays. These choreographed displays occur every hour during April to October from 9 am to 10:35 pm. If you get a chance to head here at night, you’ll enjoy the music and lights that accompany the fountain performance. 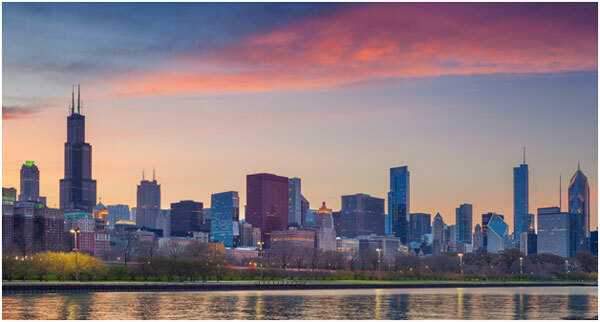 Grant Park is also the site for many of Chicago’s most popular attractions like the Art Institute of Chicago, Shedd Aquarium, and more. Grant Park is open to the public daily from 6 in the morning to 11 at night. There is no entry fee to Grant Park or the fountain, but attractions within operate on their own schedules and prices. The Art Institute of Chicago is not only one of the most popular attractions in Chicago, but it’s also one of the most famous art museums in the country. The museum features more than 300,000 pieces from around the globe in just its permanent collection. You’ll find tons more in temporary exhibits and collections. The pieces include paintings, drawings, sculptures, furnishings and designs, and much more. It features art from as early as the 13th century. One of the most popular collections at the institute is the impressionist collection, which features artists like van Gogh, Renoir, Monet, and more. 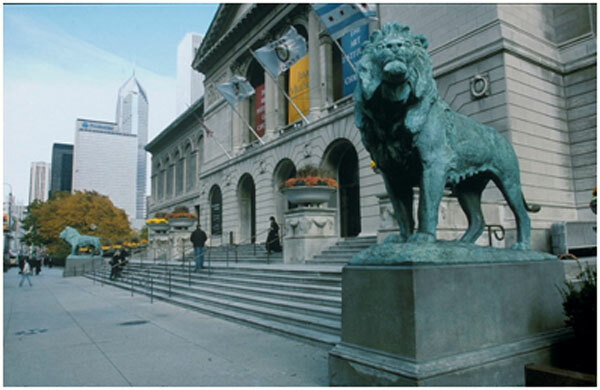 The Art Institute of Chicago is located within Grant Park, nearby other popular attractions. It opens every day from 10:30 am to 5 pm and with extended hours until 8 pm on Thursdays. Entrance for adults costs $25 and $19 for the old and young (under 18). If you’re bringing your kids with you on the Chicago adventures, you must bring them to Navy Pier. Stretching out onto Lake Michigan, it features ton of family-friendly fun and entertainment. One of the main attractions of the pier is the 196-foot-tall Ferris wheel. There’s also a carousel and other rides. After you’re done going on the rides, you can play at the 18-hole miniature golf course. The Chicago Children’s Museum is also located within Navy Pier, so that’s another attraction you have to visit while at the pier. Navy Pier also features the Chicago Shakespeare Theater, where adults and kids both can watch shows. Throughout the pier, you can find concerts, shows, and special events for holidays. Depending on the time of year, you can view impressive firework displays. 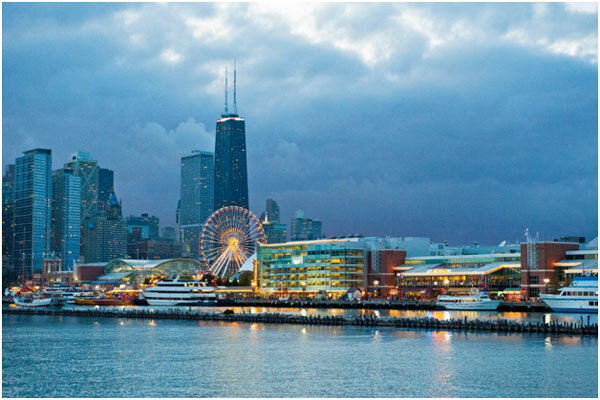 Navy Pier is popular because of its beautiful views and variety of activities, but many visitors are hesitant about the steep prices. Rides can cost anywhere from $5 to $50 per ride. Stores, eateries, and other amenities also charge hefty prices at the pier. Do you enjoy being around animals? If you do, Lincoln Park Zoo is the place for you. 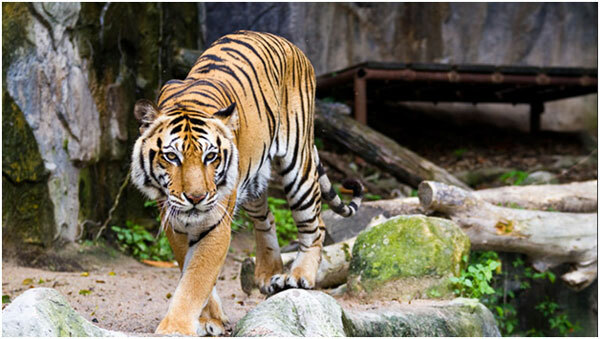 At the zoo, you’ll find many animals made up of dozens of species, from sloths to zebras. You can find the animals in their own special zoo-created habitats, such as gorillas in the Regenstein Center for African Apes. Not only are there gorillas, but there plenty of other large mammal species found at the zoo. If you’re bringing kids with you, take them over to the Farm-in-the-Zoo exhibit. Here, they can interact with barnyard animals like goats, pigs, cows, and more. Unlike most other zoos, Lincoln Park Zoo doesn’t charge a fee for entry. No matter your age, admission is completely free. If you bring your own vehicle, you’ll have to pay a pretty steep parking fee, starting at $20 per vehicle for up to 2 hours of parking. The zoo is open every day from 10 am to 4:30, but it can also close at 5 or 6:30 pm depending on the season. The best way to tour the city of Chicago (as well as many other cities) is by chartered buses and vans. Explore at your own pace within the safety of your private vehicle. Don’t worry about ordering an Uber or Lyft when you have your own exploration vehicle. Through Prompt Charters, you can order the buses you need. Prompt Charters is an amazing, affordable chartered vehicle company that caters to your every need. Whether you need a bus for school trips, marriages, parties, campaigns, or whatever else, Prompt Charters can help you. Prompt Charters offers buses, mini buses, school buses, party buses, and more. Most activities and destinations listed above and below are accessible by chartered buses. Visit promptcharters.com to book your rental bus today! 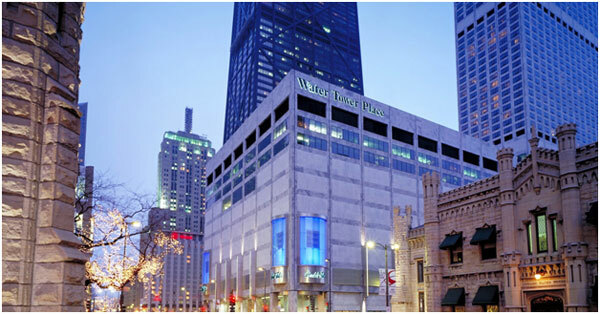 Water Tower Place – Water Tower Place is a 74-story skyscraper that is a mixed-use urban shopping center. The building, rising almost 900 feet in the air, features over 100 stores and plenty of dining and entertainment options. Woodfield Mall – Woodfield Mall is not exactly in Chicago; it’s in one of its suburbs known as Schaumburg. The mall is the largest shopping mall in the state of Illinois, and one of the largest in the country. Joe’s Seafood, Prime Steak & Stone Crab –Perhaps one of the best sit-down restaurants in Chicago is Joe’s Seafood, Prime Steak & Stone Crab restaurant. The American restaurant is rated the #1 fine dining restaurant in Chicago by tripadvisor in 2018. Smoque BBQ –The Smoque BBQ is a popular local joint in the city. The American Barbecue restaurant is a fan favorite. This is why its rated the #1 local cuisine restaurant in Chicago by tripadvisor in 2018.